Please Ask Me for a Discount! A friend was recently telling me about his latest car buying experience. It had been at the end of a month, and the salesperson had mentioned to him that the dealership only needed to sell another 25 cars in the next couple of days to win a sales volume title. I laughed hysterically as my friend grinned. He related to me how he squeezed the salesperson and the sales manager for outrageous discounts and a higher trade-in value than he ever dreamed possible. By sharing the dealership’s goals and incentives, the salesperson had invited my friend to negotiate much more aggressively than he would have otherwise. And while the dealership did make the sale, they made a lot less profit than they could have made. Every day, salespeople, business owners and professionals unwittingly encourage prospects to ask for discounts, resulting in lost margins. Making a sale with a decent profit margin is difficult enough without asking prospects to make it harder for us. When talking with prospects, you want to project confidence, not desperation. Even if you’re totally lacking in the former and drowning in the latter. Because if prospects believe you’re desperate for the sale, they’ll ask for discounts when they otherwise wouldn’t. Or worse, they won’t buy from you at all, on the presumption that if you’re desperate for business, you can’t be very good. So ask them about their wants and needs. Ask them for the order. 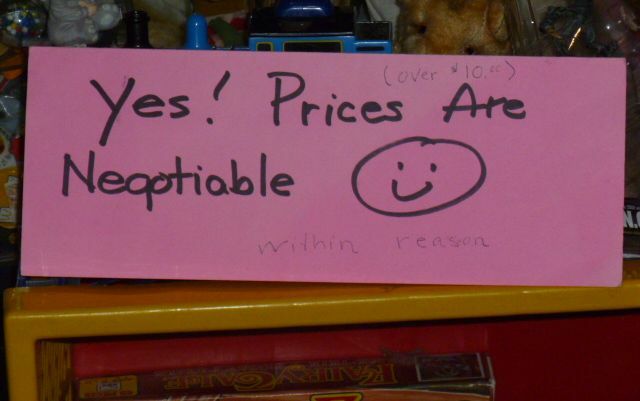 Just don’t ask them to negotiate your price. One of the most challenging obstacles salespeople, business owners and professionals have to overcome is our own assumptions. Our assumptions determine our behavior: Bad assumptions lead to bad behavior, which leads to lost sales. The guy in the t-shirt and faded jeans? He could be a millionaire. The woman pushing the baby stroller? She could be a CEO. You never know. Buyers don’t need to impress you. You need to impress them—by always taking them seriously and being respectful. Buyers don’t want to be hassled or pressured. They do want to be engaged, advised and assisted. They want to be made to feel welcomed, comfortable and confident. They want to be talked with, not at. They want to be served. When prospects are ignored, they feel unwanted and unappreciated. When that happens, they go somewhere else in search of better treatment. Women control the checkbook in 80% of households. Even when they don’t, they often still have the final say. And that doesn’t count all the situations when the woman is the buyer and the man simply happens to be there. When talking with a couple, address both people equally. With access to virtually unlimited amounts of information, today’s buyers often know more about a particular product or service than the salesperson does. Further, they often know more about the competition than the salesperson does. Respect the prospect’s intelligence, experience and knowledge. While the decision-maker may make the final decision (hence the name), if you don’t have all or most of the influencers on your side, you’re dead meat. Influencers are the people whose opinions the decision-maker solicits before rendering said decision. They can include accountants, attorneys, IT people, managers, front-line workers, even the receptionist. Because they all have the power to make or break the sale, they’re all important. They might. Or they might get caught up in other issues and forget about you entirely. Or they might say yes to anther salesperson who follows up and asks for the order. Don’t risk it. Follow up consistently. If your sales aren’t where you’d like them to be, check yourself and your sales team for these assumptions. Odds are, you—and your team—are harboring one or more of them without even being aware of it. When you change your assumptions, you’ll change your results. 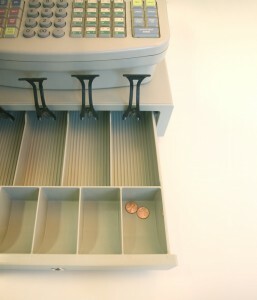 What other assumptions have you found are detrimental to sales? 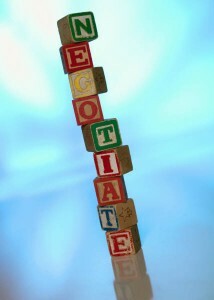 Negotiating is vital to the sales process, as well as other aspects of your business and personal life. How sharp are your negotiating skills? Do you avoid networking events because you feel uncomfortable talking to strangers? Do you find yourself talking with friends instead of meeting new people because you don’t know what to say? Stop missing out on valuable opportunities! Listen to my appearance on Breakthrough Business Strategies Radio with Michele Price. In this ten-minute segment you’ll learn a simple four-step approach to having a great conversation with anyone, anytime! Networking is a powerful strategy for boosting your sales. Discover how to make the most of it! To learn more about Michele Price and listen to her interview other business experts on Breakthrough Business Strategies Radio (which I heartily recommend), check out www.WhoIsMichelePrice.com.